Multiple medallist, swimmer Duncan Scott, can maybe lay claim to being Team Scotland’s star performer Down Under. And Mark Dry had his moment in the sun – literally – with a magnificent repeat bronze medal in the Hammer at Carrara Stadium on Sunday. But there’s no doubt about our own star performer for scottishathletics so far at Gold Coast 2018. Step forward, photographer Bobby Gavin. We’ve been working with Bobby for over five years now since first stumbling across an album of photos from the Scottish Unis and Colleges track and field Champs at Grangemouth. Attending those champs first sparked Bobby’s interest in photographing athletics and it’s been an upward trajectory ever since. Think it can safely be said that year-on-year the quality of Bobby’s photos has risen and already the images from Gold Coast 2018 are drawing rave reviews on our social media channels. 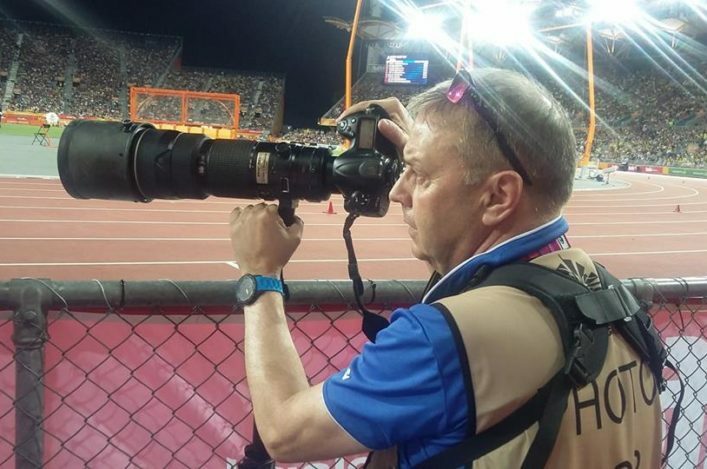 In the stadium the other day, the man behind the lens was caught on camera by an athletics fan from Kilmarnock Harriers, Paula Wilson and her partner, Scott Russell (of Ayrodynamics). They duly posted the photo above on our Facebook page. We are reliably informed that those close to Bobby recognise that steely look of concentration . . .
Here’s Bobby’s favourite non-Scottish picture so far. Lee McConnell has happy memories from the Commonwealth Games in Australia. 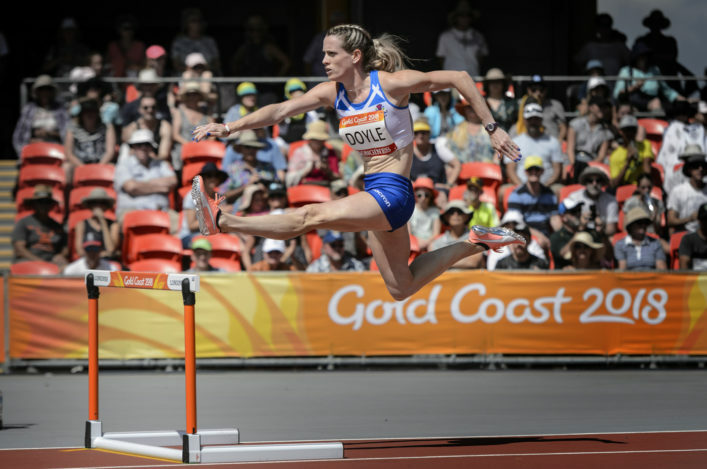 A dozen years ago the Scot savoured medal success in the 400m Hurdles as she took bronze at Melbourne 2006 – with Chris Baillie the other Scottish track and field star to make the podium. We covered Lee’s story from 2006 in our special edition of PB and then the same interview was re-produced last weekend in Scotland on Sunday. 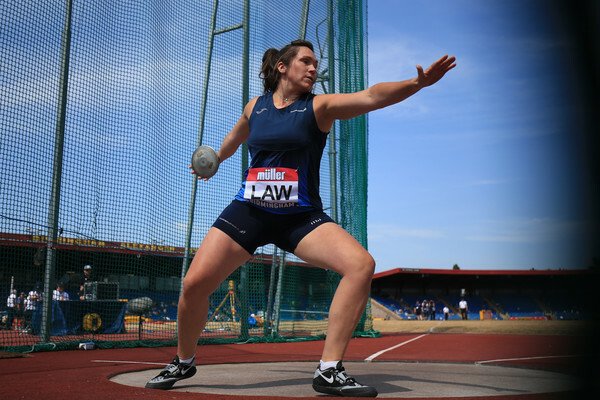 Lee, of course, was coached by Rodger Harkins at the time – with our Performance Director now head coach for athletics with Team Scotland here. 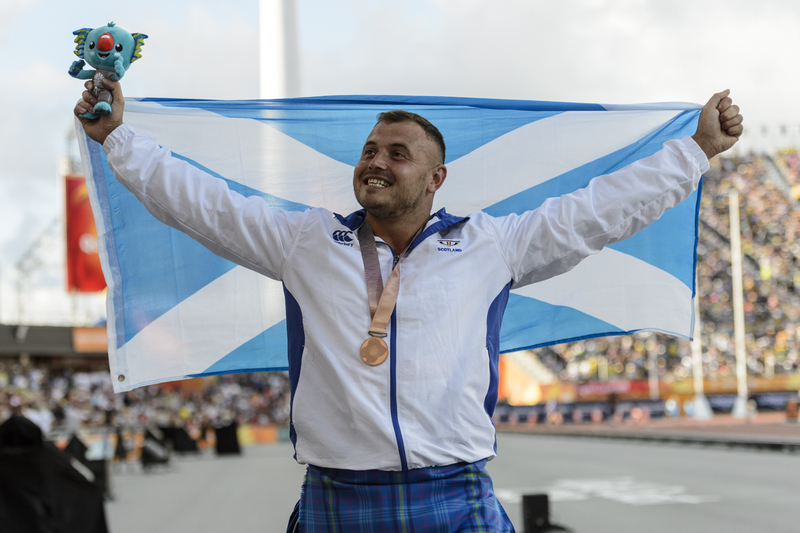 Mark Dry’s celebrations after he won bronze at Hampden four years ago started not long after the competition ended, continued with the medal ceremony the following night and then ran deep into the rest of the week at Glasgow 2014. In fairness to Mark, soon after the event, he came to Kilmarnock to win the Scottish hammer title with a championship best performance. His celebrations this week may well be on a similar scale but we defer to the rule ‘what happens in Australia, stays in Australia’. There was some concern, perhaps, that room-mate Allan Smith might be put off his rest the night before High Jump qualifying earlier this week. Interesting news breaking here in Gold Coast around an inaugural Commonwealth Half Marathon Championships, a new CGF-sanctioned competition. The Cardiff Half Marathon on October 7 will host the event and it is expected a number of countries – including Scotland – will compete as well as Australia, England, Northern Ireland, New Zealand, Canada, South Africa, Kenya and hosts Wales. Team Wales, in fact, launched the event from their Gold Coast 2018 hotel and say that, so far, 20 Commonwealth nations have expressed an interest in competing. 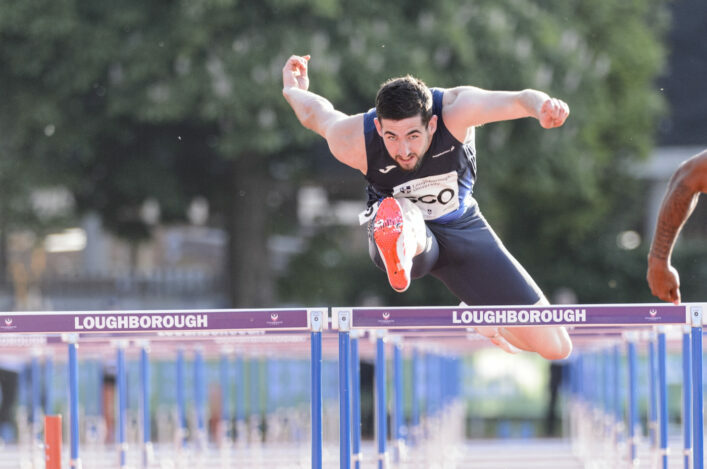 Cardiff is no stranger to prestigious global athletics events, having hosted the IAAF World Half Marathon Championships in 2016, when Callum Hawkins raced the event. 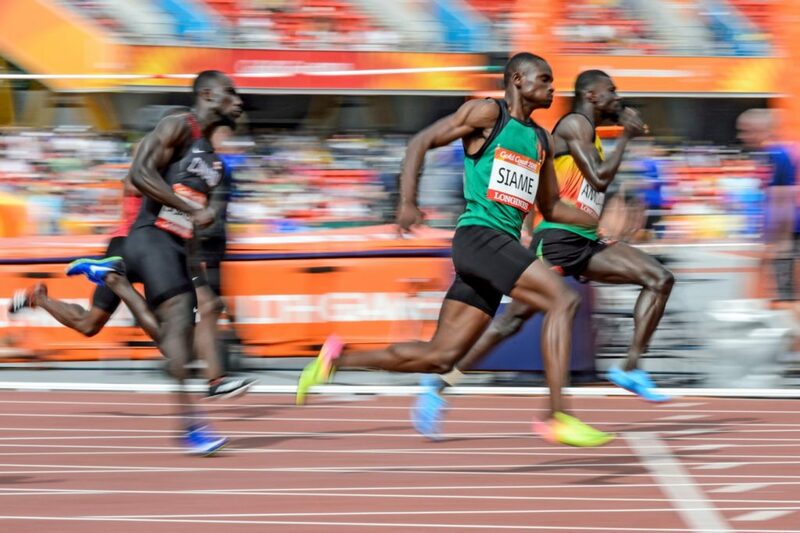 The event will be televised live on BBC Wales, with a highlights package to be broadcast throughout the Commonwealth and it presents another strong road running opportunity for Scotland, with male and female selections likely (if appropriate). Look out for more details in due course on selection standards.